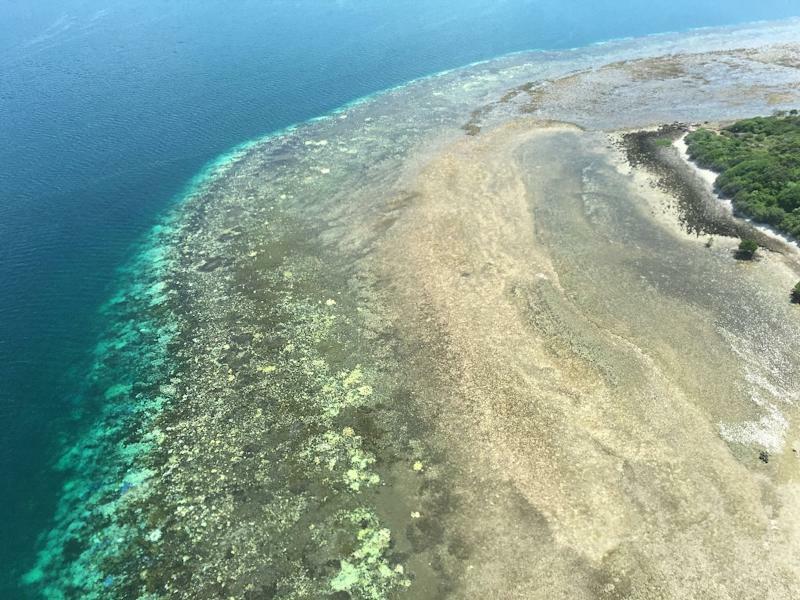 Sydney (AFP) - Aerial surveys of Australia's Great Barrier Reef have revealed the worst bleaching on record in the icon's pristine north, scientists said Tuesday, with few corals escaping damage. Researchers said the view was devastating after surveying some 520 reefs via plane and helicopter between Cairns and the Torres Strait in the north of Queensland state. "This will change the Great Barrier Reef forever," Terry Hughes, an expert on coral reefs from James Cook University, told the Australian Broadcasting Corporation. "We're seeing huge levels of bleaching in the northern thousand kilometre stretch of the Great Barrier Reef." Just over a week ago, the Australian government revealed bleaching at the World Heritage-listed site was "severe" but noted that the southern area had escaped the worst. Hughes, convener of Australia's National Coral Bleaching Taskforce, agreed in a statement that the southern reef had "dodged a bullet due to cloudy weather that cooled the water temperatures down". 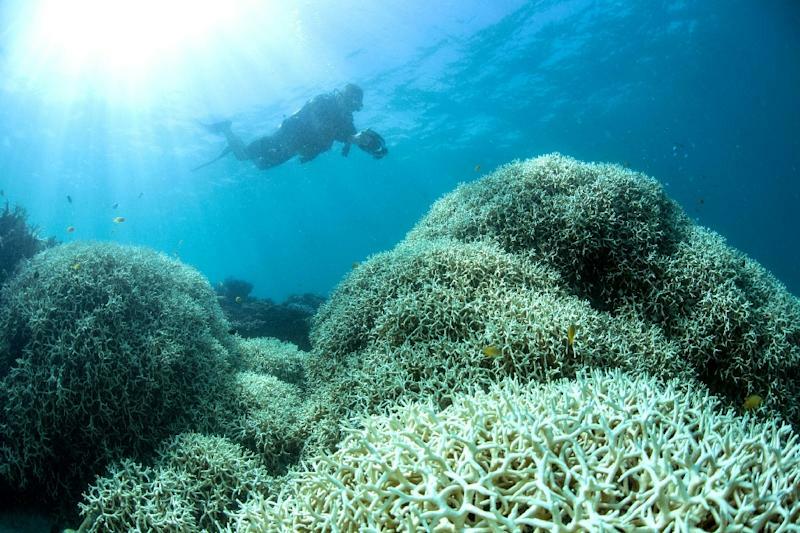 But he said in the far north -- the most remote and pristine areas -- almost without exception, every reef showed consistently high levels of bleaching. "We flew for 4,000 kilometres in the most pristine parts of the Great Barrier Reef and saw only four reefs that had no bleaching," he said. "The severity is much greater than in earlier bleaching events in 2002 or 1998." Fellow James Cook University expert James Kerry said more surveys were to follow, but the damage seen from the air in the north was severe, often falling into the highest category of level four, meaning 60 percent of the coral was bleached. 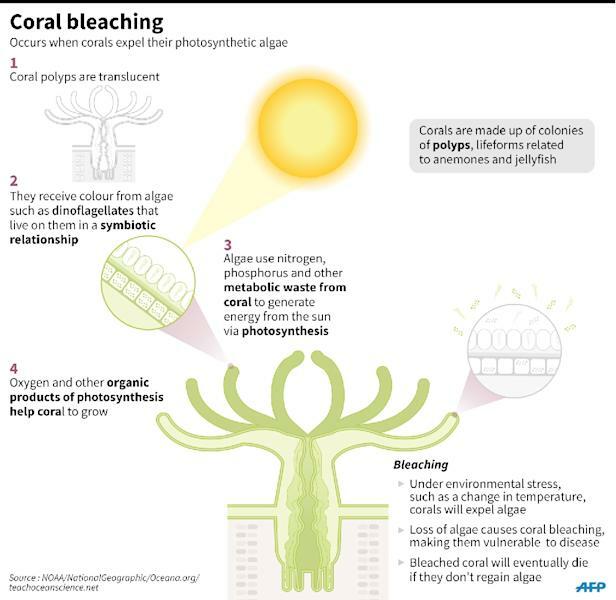 The researchers said it was too early to know exactly how many corals would die, given that they can recover if the water temperature drops and the algae are able to recolonise them. But Kerry said abnormally high temperatures were expected to continue in the northern reaches of the reef for another week. The Great Barrier Reef -- the world's biggest coral reef ecosystem -- is under pressure from the threat of climate change, as well as farming run-off, development and the coral-eating crown-of-thorns starfish. It narrowly avoided being put on the UN World Heritage in danger list last year with Canberra working to improve the reef's health over successive decades. Conservationists put the bleaching squarely at the feet of climate change. "When you look at those stark, white photos, you're looking at the face of climate change," WWF-Australia spokesperson Nick Heath said.